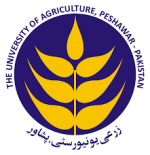 1Lahore College for Women University, Lahore; 2University of Sargodha, Sargodha, Pakistan; 3University of Management and Technology Lahore; 4Sukkur IBA University, Pakistan; 5COMSATS University Islamabad, Lahore; 6Lancaster University, Lancaster, UK. 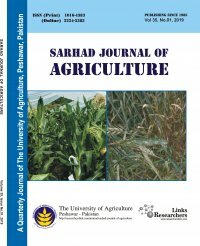 In this study, we try to indirectly quantify the welfare of people in Pakistan through measuring the food insecurity, malnutrition during last decade (2005-14). This study takes lead from earlier studies, in a sense; it covers two food price hike periods (2007 and 2011). So, it is important to understand, how food insecurity status and nutrition are affected by these shocks during this period. Thus, we use nationally representative data called as Household Income and Expenditure Survey (HIES) from 2005-2014. Pakistan Bureau of Statistics collects this data in five rounds; 2005-06, 2007-08, 2010-11, 2011-12, and 2013-14 comprised 81102 households. Results from the headcount ratios suggest that over the period food insecurity trends of the households raised from (58%) to (77%). we find urban households are more food insecure over the time as compared to rural households. Whereas, in qualitative terms of food insecurity, we use two food diversification measures; one is dietary diversity score and second one is share of staple food in total calories consumed by household, suggest that households dietary diversity score is good on average that is 9 out of 10 food groups and on the whole it is slightly improved from (8.8 %) to (9%) in previous 10 years. Interestingly, when we analyze the share of staple food in total calories, results suggest that major portion of a household’s diet is consisting of staple food (wheat), (53%) and increased to (57%) from 2005 to 2014. We use the Heckman Approach to find out determinants of food insecurity. 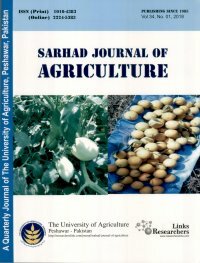 Results suggest that female headship plays a significant positive role in caloric intake, among the other variable head education, households’ member with basic education and higher education, live stock ownership, consumption of livestock produced at home, farming, consumption of food crop produced at home and foreign and domestic remittances plays a significant positive role in caloric intake of food insecure households.